New Trends, ebolagoldfish, The Great Awake, Sketch Method, Dal Failure, Slagatha Christie, Vetty Vials, Idle Threat, Molly &amp;amp;amp;amp; The Krells, Whispering Jackie, Apprehension Avenue, Operation Ibis, and, of course, Madam Won. 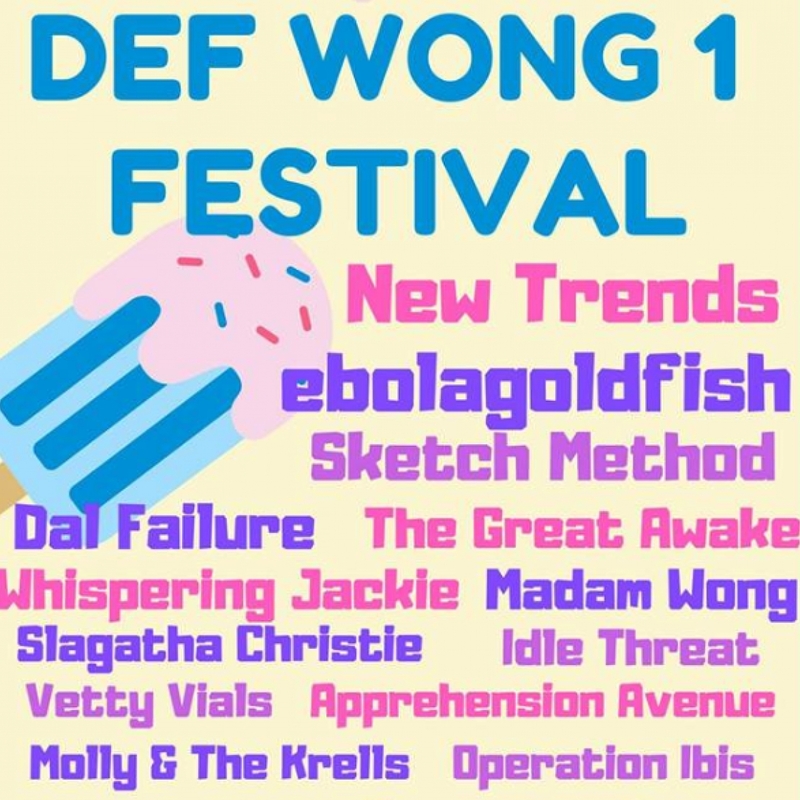 Come join us at The Valve Bar for the inaugural Def Wong Festival. Def Wong 1 Festival features some of the states best punk bands, in our favourite, intimate venue. This festival really is not to be missed.